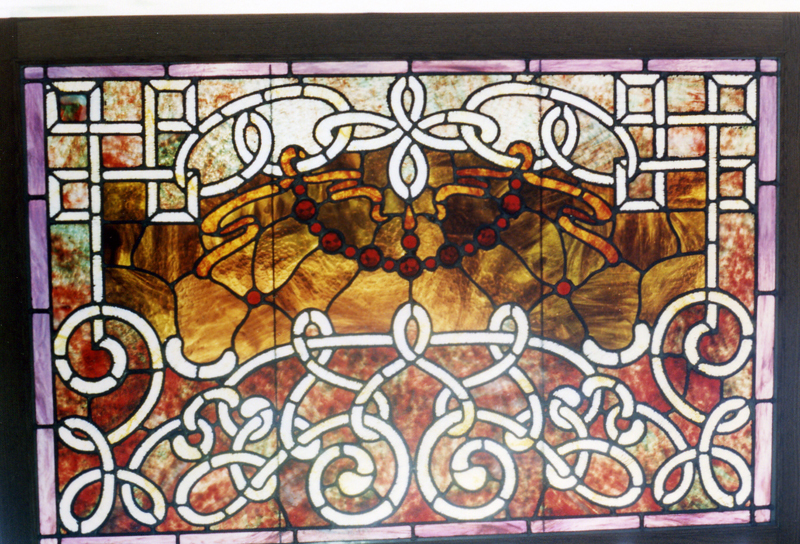 We offer custom stained and leaded glass windows, doors, lamps, or any other stained glass items you may desire for both commercial and residential settings. Our state of the art design process allows you to see the project in the space it will be installed before we even start to cut the glass. Whether you have an antique leaded glass window worn down by time and needing attention or a newer piece of glass that is damaged, G&J Glassworks can add new life to it. We offer full repair and restoration services for all stained, leaded glass windows, lamps and doors in commercial or residential installations as well as many other types of glass objects you may need repaired. Give us a call to see if we can help you. We offer custom engraving on all types of glassware and gift items. We are the home of “The Perfect Wedding Gift” a custom etched glass piece based on the design of the couples wedding invitation, a very personal and original gift, always a favorite. 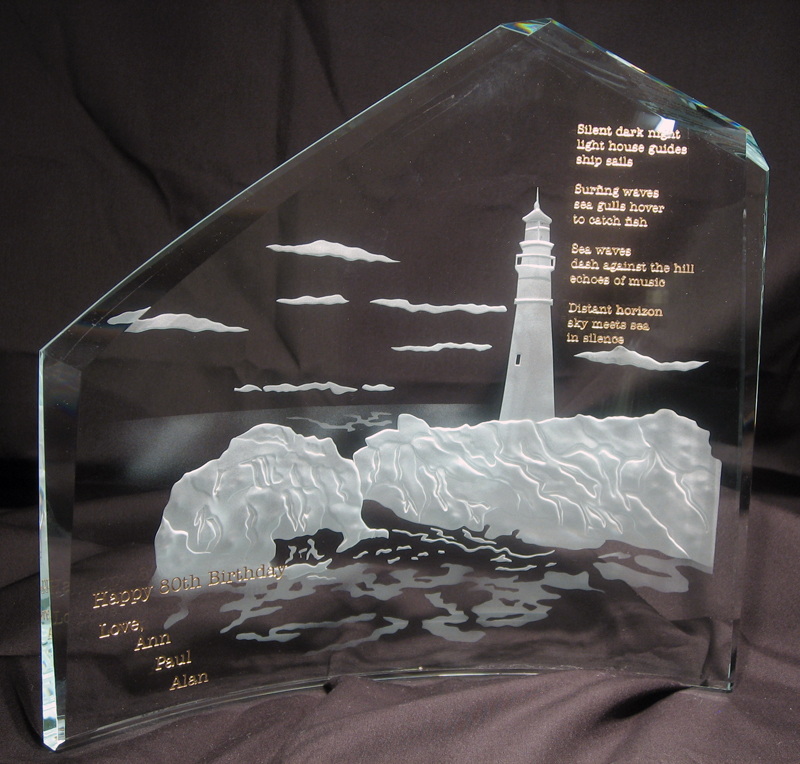 We create engraved glass recognition awards for any event or honor, including our new “TriSport Gifts”. An engraved plaque memorializing your competition with the name of the event and all your times. We can etch a favorite poem, phrase or inspirational word into glass for you. We can etch the glass doors on your gun cabinet or the doors on your kitchen cabinet. We can even etch into the wood itself for a very different look. “Cremation Pendants”, are all hand crafted in house in the age old tradition of “Lampworking” where glass rods and tubes are heated and manipulated using a Gas / Oxygen torch producing the extreme heat necessary to melt, fuse, and shape the glass into whatever we are creating. No molds are used to make the final piece it is all done with various hand tools, and is the closest thing to hand sculpting glass into small works of art that can be done. 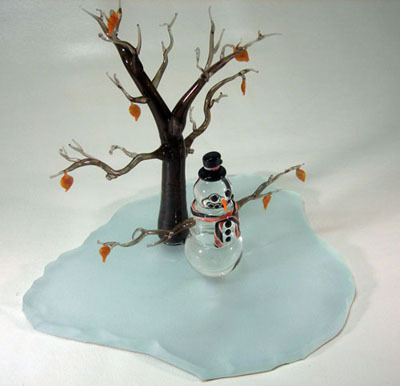 This is an exciting type of glass work utilizing A large high temp kiln, various mold making techniques, and crushed glass to create sculptural and functional art pieces. 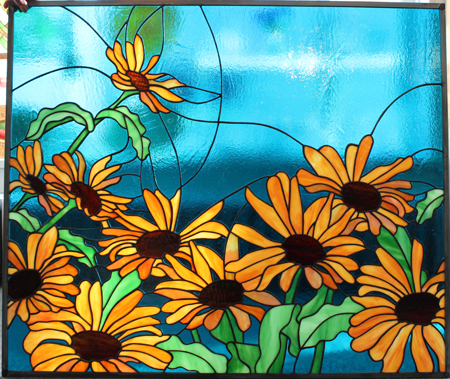 This style of glass work offers a very unique look and feel that is very different from the other types of glass work that we do. 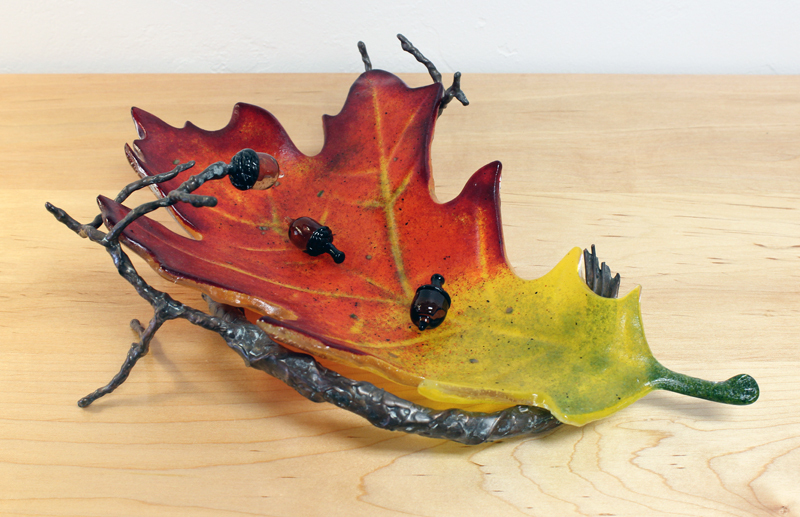 We arrange, stack, and layer glass pieces and bits, then using a high temp kiln, fuse them back into a solid piece. Creating very unique, beautiful, and functional art pieces that make great gifts for someone special or a fun treat for yourself. 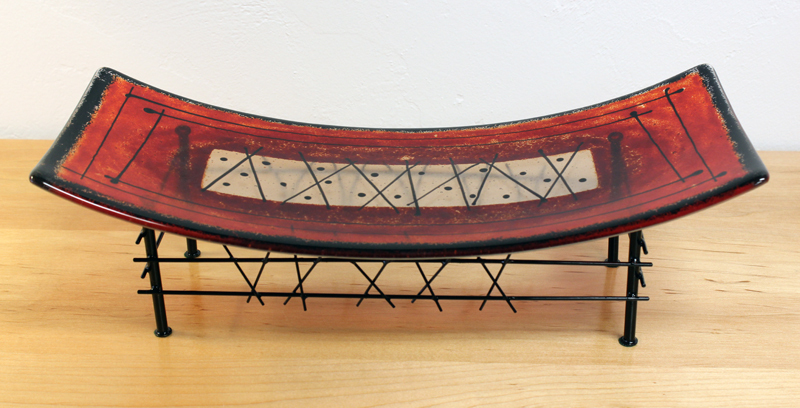 Custom metal stands accompany many of our pieces enhancing their overall appeal.